A big success for the project ! Xeric took the opportunity to organize its 2nd workshop in the frame of the EVER Monaco Forum, from 11 to 13 April 2017. 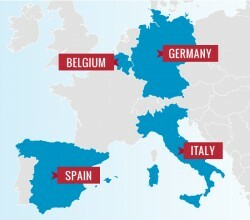 More than one hundred academics of 27 different nationalities attended to the EVER scientific conferences this year. 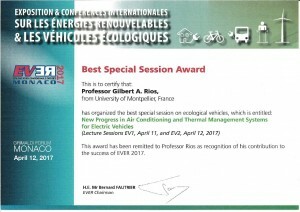 XERIC’s consortium has received two awards : the “Best Special Session” and the “Best paper on ecological vehicles”. 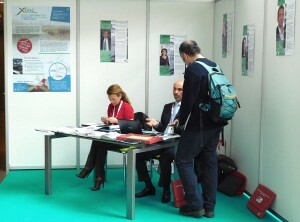 EVER Monaco features scientific lectures, round tables sessions and international meetings on Ecological Vehicles and Renewable Energies. This 12d edition of EVER Monaco, organized from the 11th to the 13d of April 2017, was marked by a record attendance. 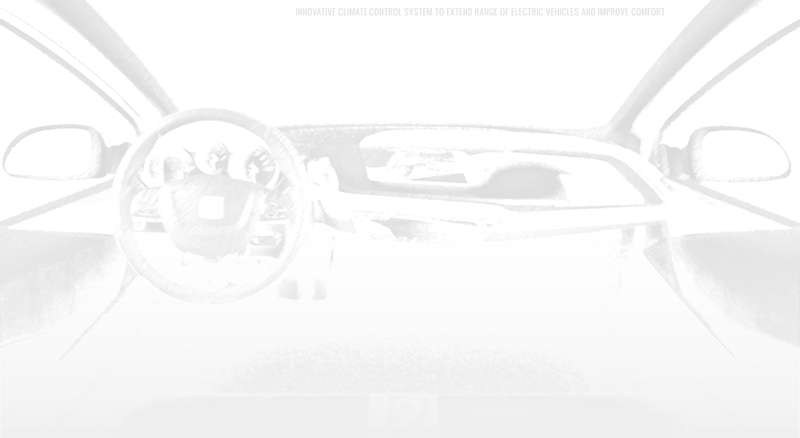 The general public appreciated innovative workshops, e.g the Ride & Drive area where the latest models could be tested. His Serene Highness Prince Albert II of Monaco went to the exhibition by driving a plug-in hybrid Kia Optima for an official visit on Thursday, April 13. A XERIC’s exhibition stand has been set up in the frame of EVER Monaco 2017 in order to communicate on the main objectives of the project and put interested people in contact with researchers. 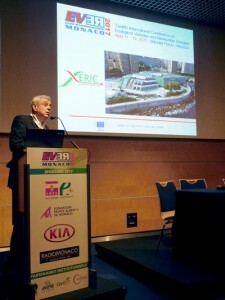 Nino Gaeta, as XERIC’s coordinator, presented the project in a roundtable organized during the first day. As already done during its first workshop, XERIC promoted clustering and invited its two other partner projects (Optemus and Jospel) to organize the Special Lecture Session on New Progress in Air Conditioning and Thermal Management Systems for Electric Vehicles. Researchers from the three projects presented their results to academics during two half-days. More than one hundred academics of 27 different nationalities attended to the EVER scientific conferences this year. XERIC’s consortium twice awarded ! Pr. Ahmed Masmoudi was proud to gave Pr. Gilbert A. RIOS, EMH chief executive officer in charge of the organisation of XERIC’s 2nd workshop, the Best Special Session Award. Carlo ISETTI, Enrico NANNEI, Stefano LAZZARI, Bernardo CERRAI and Sergio NARI have received the award of the best paper on ecological vehicles, for their paper entitled “New climate-control units for more energy-efficient electric vehicles: system architecture”. 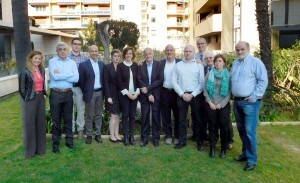 To make the most of EVER’s opportunity, the 5th progress meeting of XERIC took place on April 10, in Monaco. The team were in a good shape to comment the results obtained and discuss to go further. 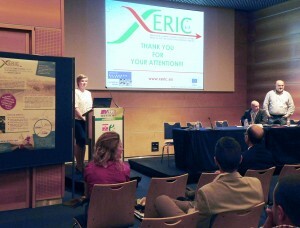 XERIC is still well on track and determined to use the final year of the project to reach its objectives!